Yesterday (21 August), US senators and representatives from both sides of the aisle showed their respect by introducing the Aretha Franklin Congressional Gold Medal Act, the Washington Post reports, which would posthumously award the incomparable music legend who died last week with the high honour “in recognition of her contributions of outstanding artistic and historical significance to culture in the United States”. 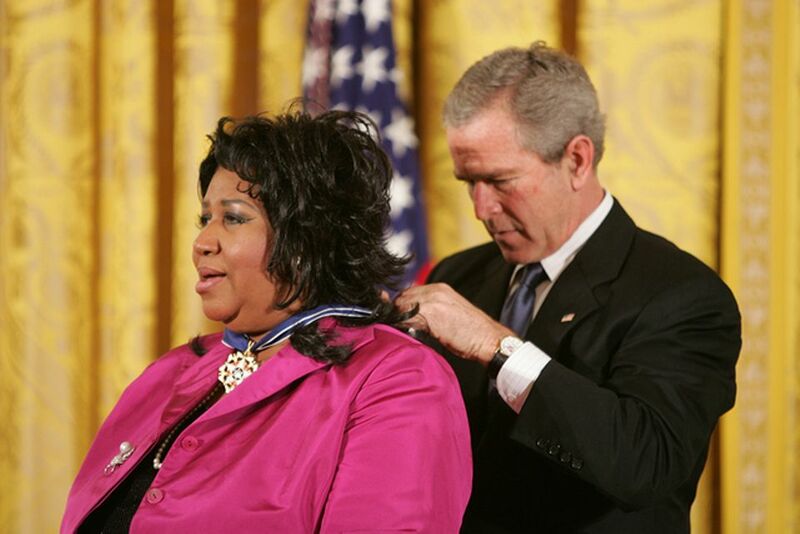 Franklin, who was given the Presidential Medal of Freedom by president George W. Bush in 2005, “was soul personified and she gave us the gift of her voice, her truth and her unapologetic passion to demand compassion, love and R-E-S-P-E-C-T for women everywhere”, the US representative Brenda Lawrence, a Democrat who introduced the bill in the House along with Republican colleague Doug Collins, says in a statement, calling her friend “an iconic entertainer, powerful civil rights leader, history maker and a beautiful spirit”. The legislation was introduced in the Senate by the Democrat Kamala Harris and the Republican Orrin Hatch, who says in a statement that he is “grateful to play a small role in honouring the life of this remarkable artist”.